Welcome to Day 2 of our January SavingsPinay Series. If you missed the Introductory Post of this series clink HERE. If you missed Day 1 click HERE. A quick message of appreciation first to those who have shown their support on Financial Planning 101 Series. Hope you’s share the series to your friends via Facebook or email. I also encourage you to comment below and share your opinions. It would mean a lot to me and this blog. 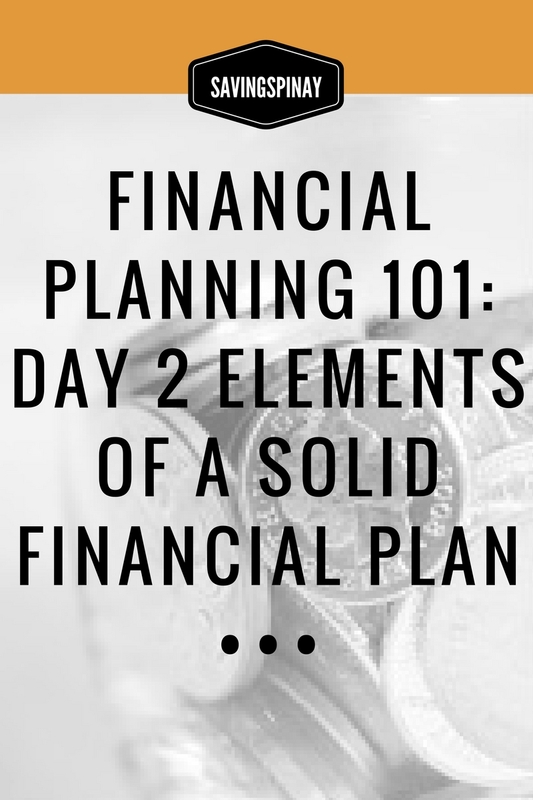 Everyone needs certain elements to create a solid financial plan. These elements are considered necessary to take a better grip on your finances. You don’t need to hire a financial planner to map it out for you. You are the only person responsible to create and to guarantee that these elements are available and working together in your favor. A Financial Plan act as a solid guide towards financial freedom. It’s a map that shows the way in a clear picture with possible pitfalls, option B and possible shortcuts. A solid financial plan starts with a vision. It’s all about your goals… how you see your financial like in 5, 10 or maybe 20 years from now. Lack of vision or goal in mind is more often than not the first thing that makes a person fail in their plans. There’s no bigger picture to look forward too. The map is useless for there is no destination at all. That’s a big moment of awakening for me. At some point your goals may seem to impossible to achieve especially in terms of finances, but don’t fret… goals are meant to be just like that. As written in my Personal and Financial Goal this 2016 I want to save up for an out-of-the-country trip before the year ends. It seems such a big goal for me because one, I’ve never traveled abroad and two, I don’t know where I’ll get the money to finance such a luxurious activity. However, setting that goal made me realize the next actions I am going to do. I became that committed. My next actions will be 1. to get my passport, 2. to go active again in hosting events (extra income), 3. to save 1k per payday and 4. Research on airlines that offers cheaper tickets and 5. create a travel itinerary. So far I am on my step 1 and 2 so I believe it’s something doable at the moment. The thing is goals are important and make it strong goals that will inspire and remind you why you are doing a change in your financial lifestyle. Once the vision are laid down you want to know your starting point and knowing your current financial net worth will reveal this. Financial Net Worth is now easier to calculate. I have shared a few details HERE and you can easily compute for your net worth even online. 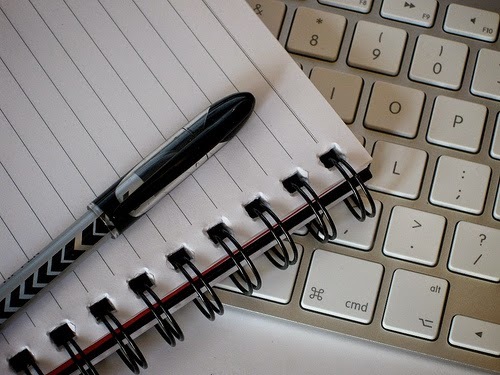 Now computing for your net worth is essential if you want to create a solid financial plan. This will act as the compass to your plan. It can dictate which direction you should go. Once you’ve computed your financial net worth take time to ponder the following. a. A positive net worth means good financial health. Your assets must be higher than your liabilities. However if your current financial net worth is a negative then it means you have to double work. You need to undergo a serious debt management. 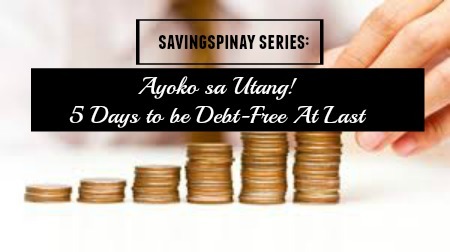 Read my whole series dedicated to debt entitled October SavingsPinay Series Ayoko sa Utang! Do not be afraid to know how much your net worth is. 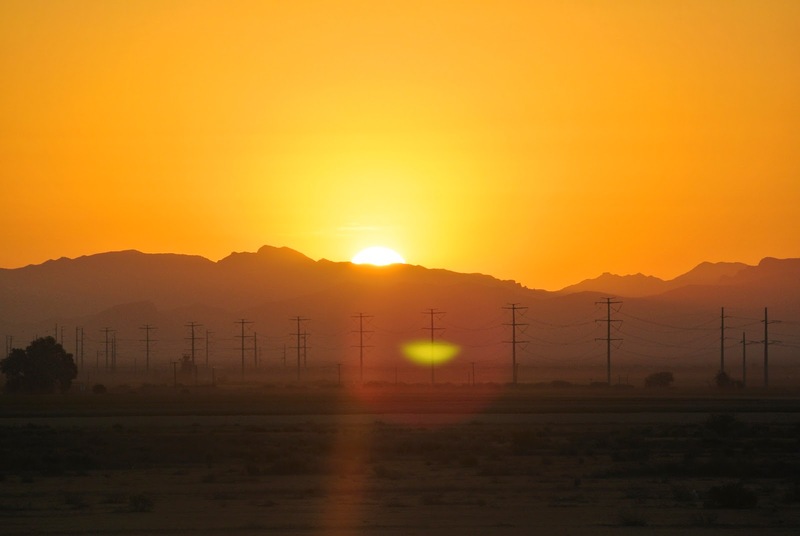 No matter how bad your financial situation is know that there are still ways to cope up. Just have faith. Budgets work in favor of the individual. Yes it can be a daunting task to budget but never see it as something that will limit you. A budget makes sure that you are in line with your finances. You track what going in and going out of your kaban. Make it part of your to do list. Have it as a task you need to do before the day ends. Have it daily, weekly and monthly. Don’t just set a budget for the month but also budget for the coming week and even within the day. This will ensure that you have a record of everything. Review/Reflect with your budget. It will be nicer if you have a review at the end of the day, at the end of the week or at the end of the month regarding your budget. Identify the factors that made your budget successful or things that made it fail. Reflect and ponder on what you should do next time. An emergency fund will make you so much at ease along your journey to financial freedom. Your financial planning will never be solid without a 3-6 months worth of income money reserve. An emergency fund is the first thing you should secure before any other financial goals like buying a house, a car or saving for retirement. Why care to have an emergency fund? 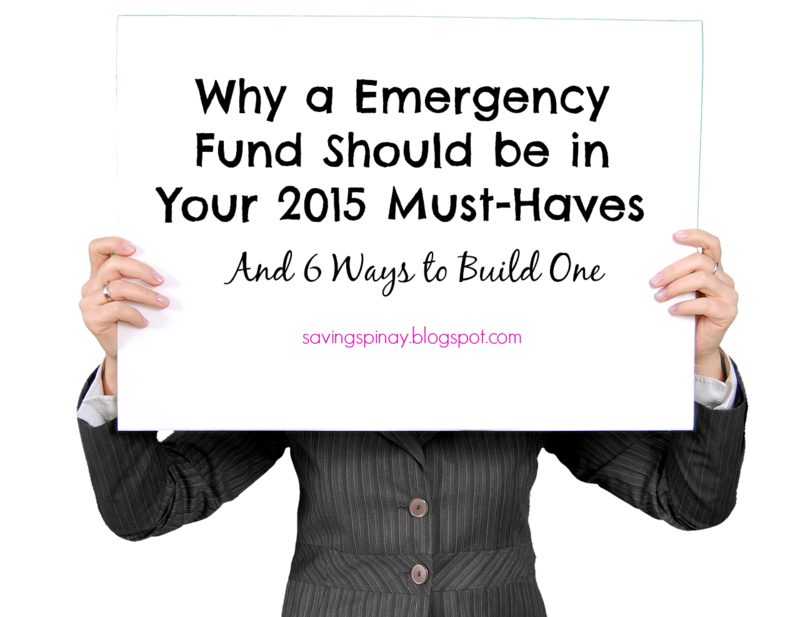 Let’s put it this way, emergency fund is the money you use on unexpected events. If you want to know more about emergency fund please make sure to click HERE. Manage your debt as early as possible if you want to be even with your finances. Your debts can become a big loop hole in your finances. Make sure that you have a plan on how you will pay your debts. For credit card debts pay the highest interest rate first followed by the debt with the lowest interest rate. For personal debts try to talk with your creditor on a better payment method that agrees within what you can pay for. Try to be out of debt as much as possible. Live below your means. Be better in handling your money and do not live a lifestyle to impress people. Never ever be satisfied with one source of income. 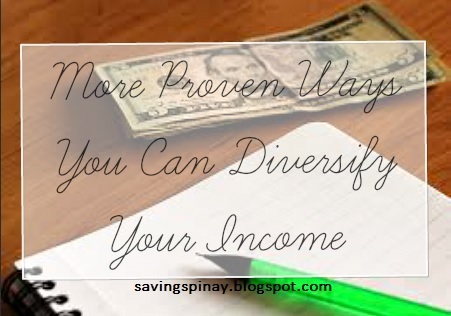 As much as possible create multiple streams of income that you can use to save more and invest better. Your income is a key element in a good financial plan because without any source of income you can never act on your goals. Maybe you can talk to your manager for a possible promotion or you have spare time in the weekend to do some side hustles. It will also be nice if you use your talent to earn extra income just how I did when I hosted events on the weekends before. Investing is also another way that you can increase your income. This will then be called portfolio income. Portfolio Income are all of your paper assets, money you have in the bank, in a mutual fund account, in stock and/or time deposit. Passive income is also a great possibility especially if you have a great mind for business. Click HERE for more information. I hope you see this coming but clearly, an insurance is a need. Without an insurance all your hard work may come to nothing. This topic will also require a separate series on the later part of the year so stay tune. Do not overlook an insurance. You need it not just for yourself but for the people whom you will left behind. I know that it feels morbid to talk about but be serious in acting for it. Tomorrow we will be learning some tried and tested personal finance tips. This will be a massive list so be prepared.